Tamil Nadu farmers’ protest at Delhi’s Jantar Mantar enters its 21st day on Monday, 3 April 2017. 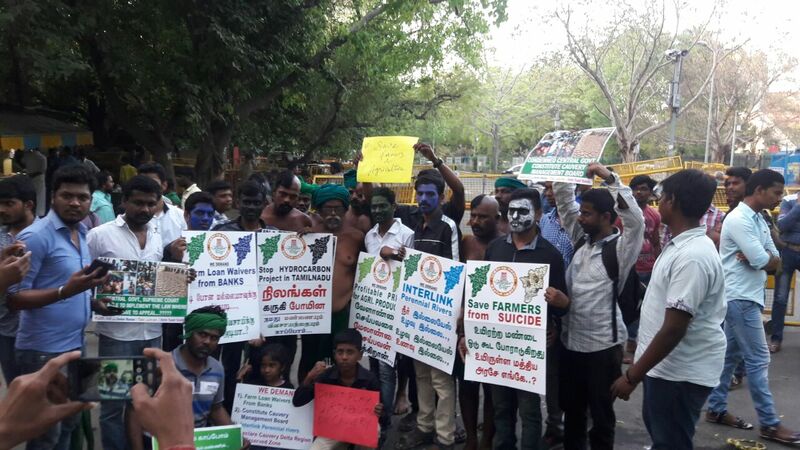 About 100 farmers from Tamil Nadu have been protesting at the Jantar Mantar. 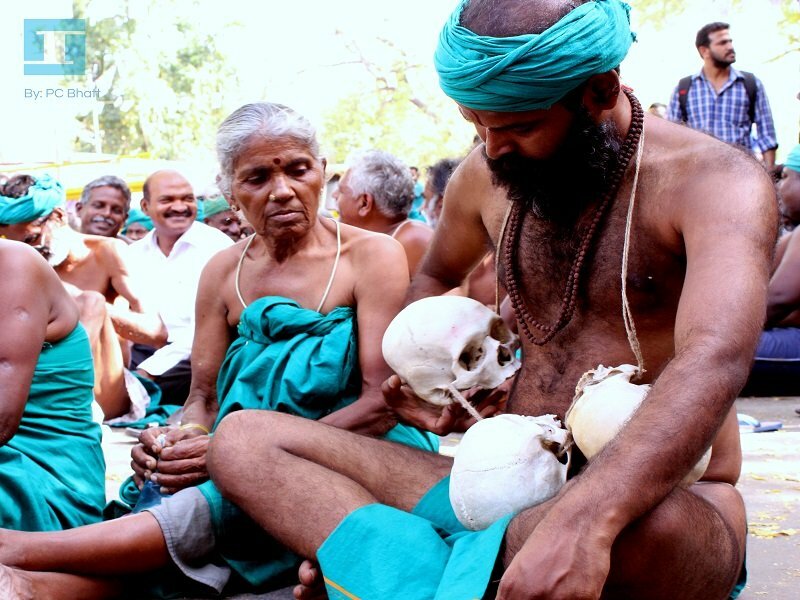 The women are protesting wearing petticoats while the men can be seen wearing green Lungis and carrying begging bowls and the skulls of dead farmers. The Logical Indian team visited the site and took the protest live as well. Farmers have done all they could to get media and the Government’s attention. They came with the skulls of their relatives who committed suicide; they protested holding rats and dead snake holding in their mouth showing they are left with nothing to eat but whatever animal they can find. 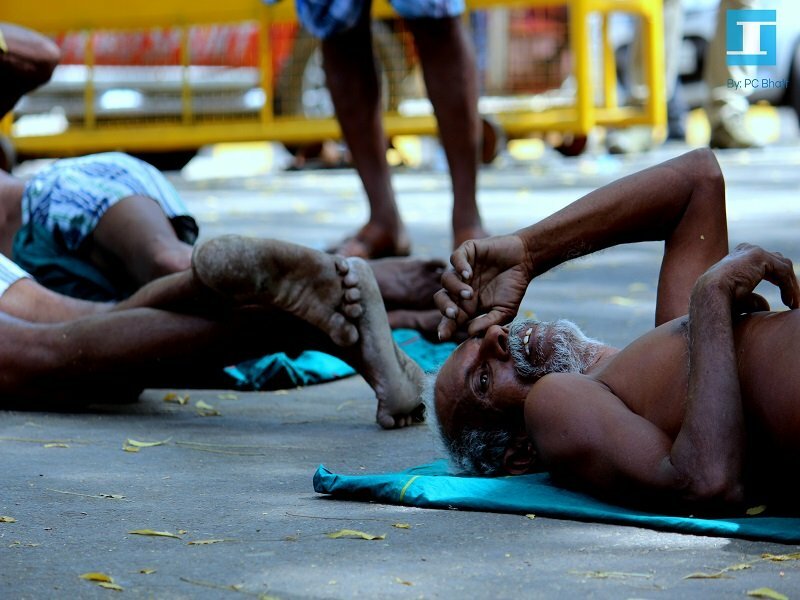 In the Delhi heat, the protesters are sleeping on the roads bare bodied, there are limited sanitary facilities, and due to change in food and dietary habits, many senior citizens had to be hospitalised. 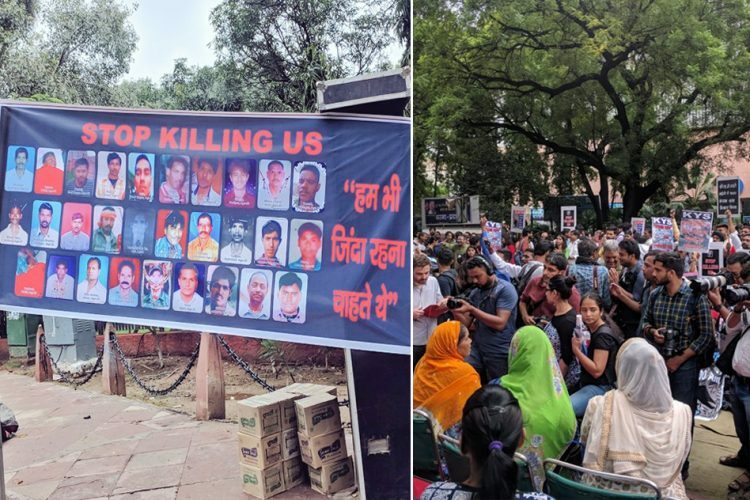 Extending their supports, many students from various universities in Delhi came forward to join their protest on Sunday. They did a march from Rajeev Chowk to the protest site. Here are some of the questions people asked during the TLI-Live session. These are the farmers are from Trichy, Karur, and Thanjavur districts of Tamil Nadu. 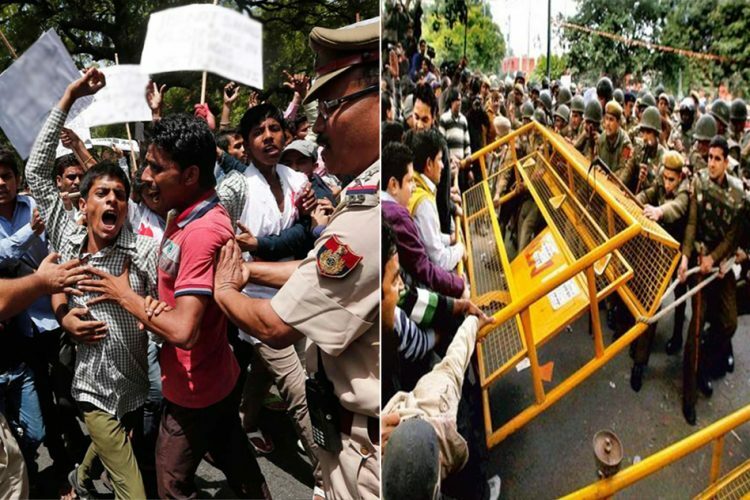 They had arrived at Delhi on the morning of 14 March and immediately left to protest outside the Prime Minister’s residence. They were, however, stopped by the authorities. 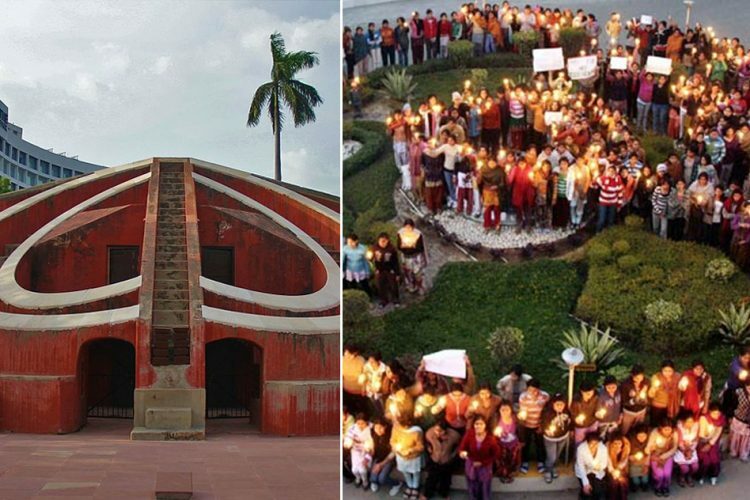 The protesters then went to Jantar Mantar, where they have been protesting ever since. The ongoing drought in their areas is the worst in 140 years. As per the protesters, about 250 farmers have committed suicide in the last two-to three- months of drought, although the government claims just 17 suicides. Farmers take the loans from nationalised banks to buy seeds, fertilisers, and to build irrigation system, etc. But if the area is drought hit or suffers any calamity for any reason, or if the produce is not good then they can’t pay loans. And if the produce is good and market prices are very low they still can’t repay the loans. So the bank officials come and harass the farmers who can’t pay loans. Often, the officials resort to grabbing lands from the farmers. sometimes they grab the lands. Unable to meet their ends without any land or any food to eat, the farmers are forced to commit suicide. A reasonable drought relief package for drought affected farmers. Waiver of the farm loans. Forming a Cauvery Water Management Board. Interlinking of the National Rivers. Fair prices for their produce. Pension/support system for old-age farmers who can’t work. Make Cauvery delta zone special farming zone. Has any government official met them what is the status of their protest? On 20 March, Union Minister P Radhakrishnan met the protesting farmers and assured action by the Centre and requested them to withdraw their protest. However, due to any strong commitments the farmers still want to meet Prime Minister Narendra Modi directly but this has not been entertained by the authorities. What is the politics behind the protest? Protesters are requesting people not to involve politics and judge the protest, and unite in the name of food. Rahul Gandhi and M. K. Stalin had paid the visit to the protesters, however, no big announcement has come from the opposition. 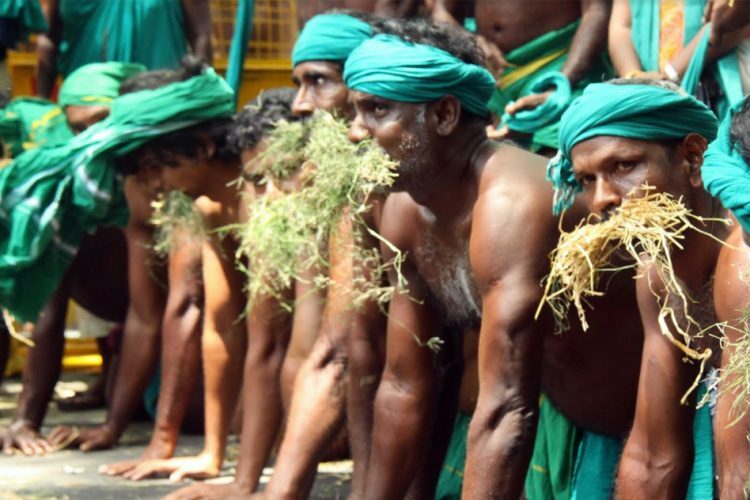 Why are only Tamil Nadu Farmers protesting why not others? Currently, the zone is drought hit and many farmers are committing suicide forced by the Government apathy towards the situation. Wherever there are mass farmer suicides, their brotherhood protests but never in unity. This time a few of other farmers associations have supported the protesters. 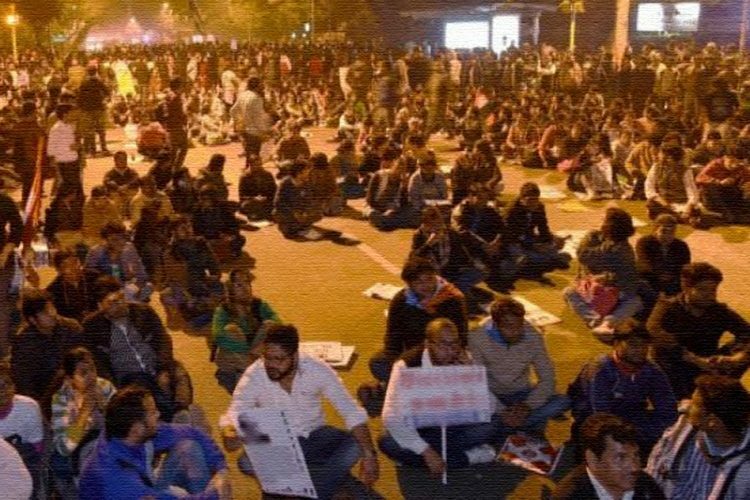 Why are they protesting in Delhi, why not in Chennai? They have been protesting in various parts of Tamil Nadu but the voices were shut by the police. Moreover, they say it is not just about them, thw entire country has farmer issues and people have become immune to farmers’ suicide. To highlight the issue at the Centre and spark debate to form policies to protect farmers they came to Delhi. Who are the students who marched in solidarity? 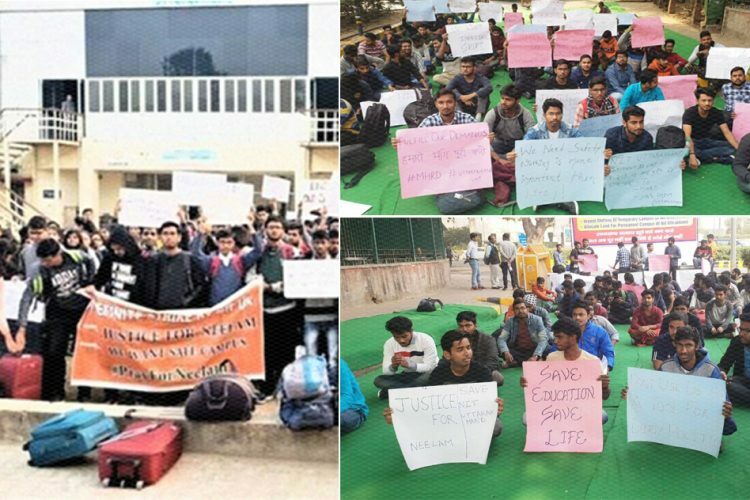 The students who supported the agitation and took solidarity march from Rajiv Chowk to the protest site are mainly from Delhi University, Jawaharlal Nehru University, agriculture universities in Delhi and most of the students are Tamilians. Why are they holding skulls? It is the way of showing how pathetic is the situation and to grab attention so that people could listen to them. The skulls are of their relatives who committed suicide. They say the skull is their future if no help arrives. We will be covering this issue more extensively on the advancements. Please pour in your questions related to the agitation in the comment section. Let us debate the situation of “Farmers”; let us unite in the name of food and water.